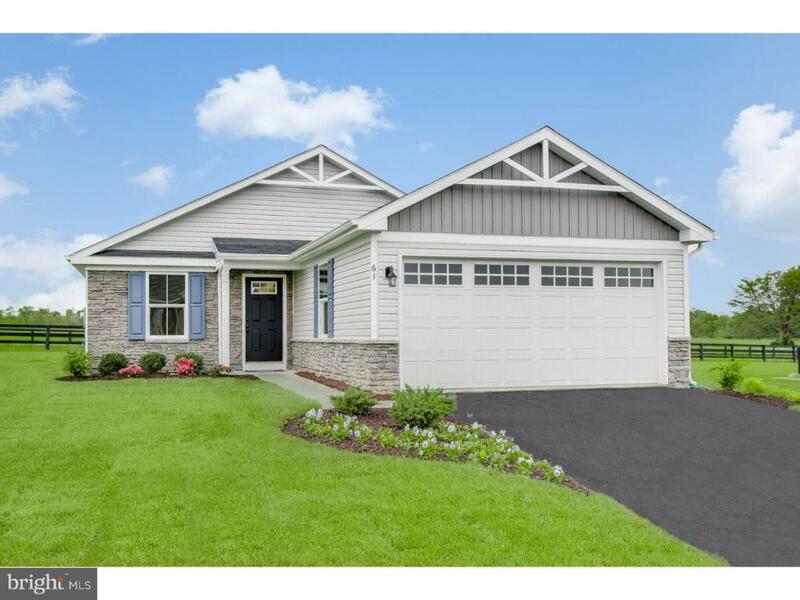 Spring Valley Farms- the lowest-priced and fastest selling single-story homes near routes 422 & 100, with a community clubhouse. You want to keep your independence. You're looking for a new home that offers the right amount of space without the shared walls or high floors of apartment living. The Aruba is for you. Enough space for entertaining without having too much house to furnish. The kitchen opens to the great room creating a relaxed open area to gather with friends. We've included a flexible room in this two bedroom, two bath design. If you like to cook and entertain, you'll have an informal dining room right off the kitchen. If you'd rather have a private office or reading room, skip the dining room and give yourself a study. A full, unfinished basement and spacious 2-car garage round out this beautiful home. The simple approach to keeping your independence is one reason so many people will choose the Aruba.